Does anybody else remember Jell-O Pops? In summary, I ate a lot of sugar as a kid. I don’t know why Jell-O pops stick out among so many brands and varieties of treats. In my family, we ate both the pudding pops (although I only remember chocolate, not vanilla or swirl that apparently existed) and fruit pops — strawberry, raspberry and orange. The chocolate ones always disappeared like gangbusters. Maybe that’s why my mom seemed to buy the fruit ones more often. Or maybe they just survived longer in our freezer. When it came to Jell-O fruit pops my mom only liked strawberry (actually, that applies to her feelings about most fruit), and I liked both strawberry and raspberry, so she would get strawberry, I would get raspberry, and my brother would get orange. I have no idea whether my brother’s favorite was orange, or whether he even liked orange at all, or if anyone ever bothered to ask him. If he reads this post, I am sure he will add it to his litany of complaints about the injustices of being the youngest child. Life is hard. Anyway, a couple years ago some friends gave me an instant ice pop maker and “cookbook” (is it a cookbook if there’s no cooking?) for my birthday. I don’t use the maker often enough, but one of my favorite recipes is for classic fudge pops, not the least of which is because I associate them with summer. And I don’t know about you, but I needed a little reminder of what late summer is actually supposed to look and feel like. They’re really rich, yet I had no interest in sharing. I’m like that with chocolate. Welcome back to the 80s, and have a happy Labor Day. *RHRW note: Malted milk powder is usually found in the grocery store near hot cocoa and powdered milk mixes and coffee add-ins. You might also find it with ice cream toppings. 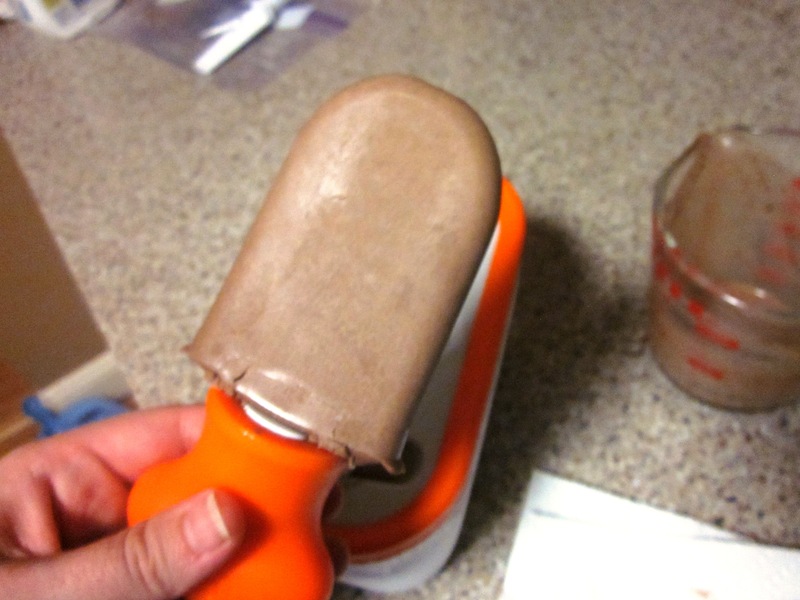 If using an instant ice pop maker, do not substitute an artificial sweetener (the pops will stick). I have not tried it, but honey or sugar should work as a substitute if desired. 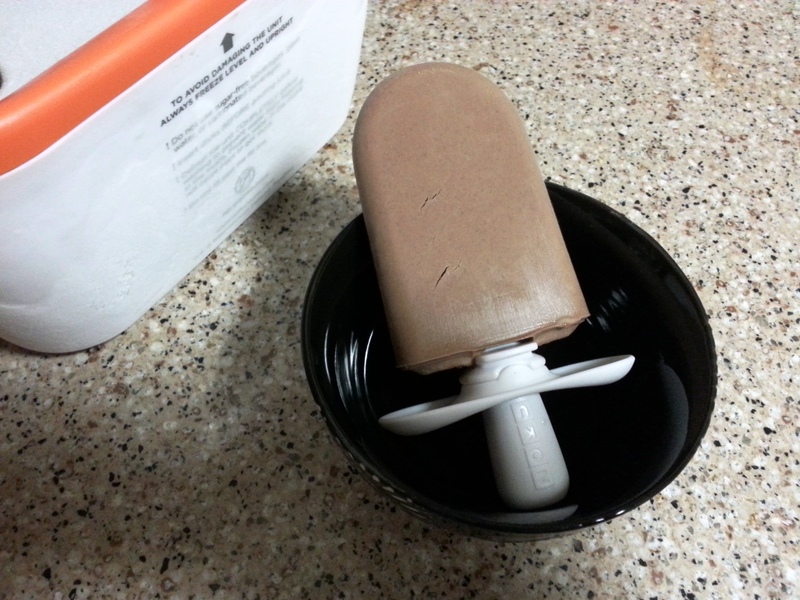 If using conventional ice pop molds, divide mixture among molds. Cover and freeze until solid, at least 4 hours or up to 3 days. 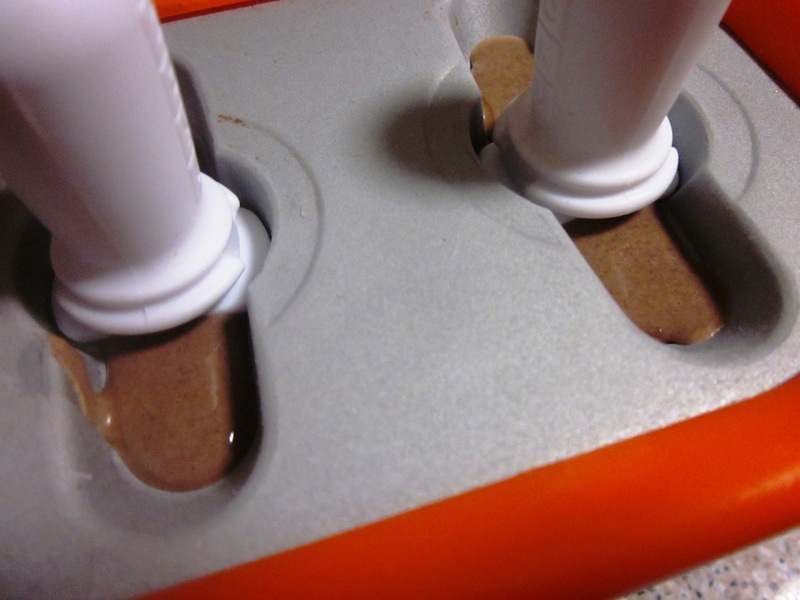 If using sticks, insert when the pops are partially frozen, after about 1 hour. If using an instant ice pop maker, follow the manufacturer’s instructions. If you aren’t serving the pops right away, layer on parchment paper in the freezer. Jell-O Pops – what great memories!